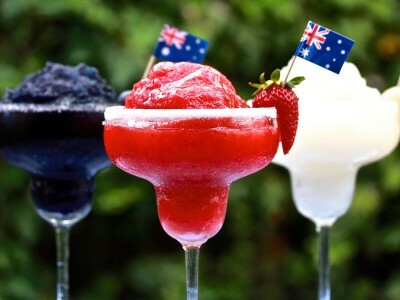 Melbourne gastronomy draws on a huge variety of international cultures with almost every country and cuisine in its repertoire. The fact that almost every corner of the globe is represented is one of the things that makes our city so exciting. And nothing captures our imagination more than something new. 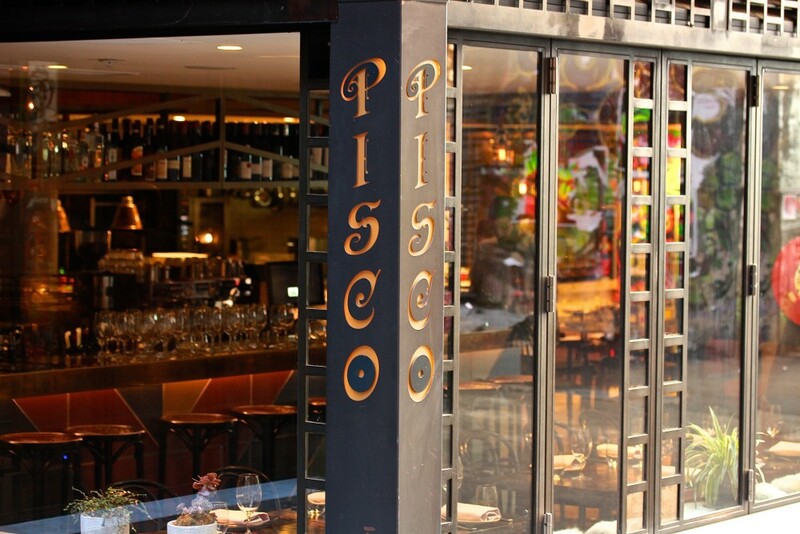 Exploding onto the scene in July 2014, Pastuso introduced Melbourne to Peru. 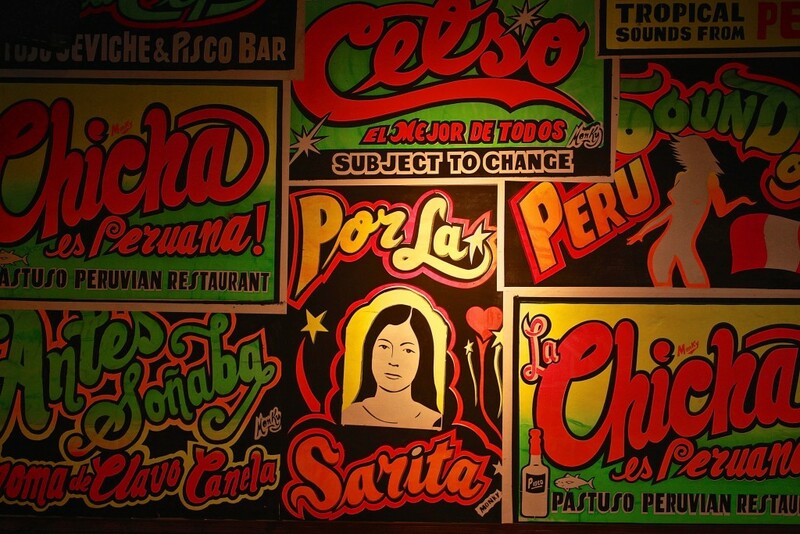 Following in the footsteps of its big sister restaurant San Telmo, the group gave us another taste of South America. 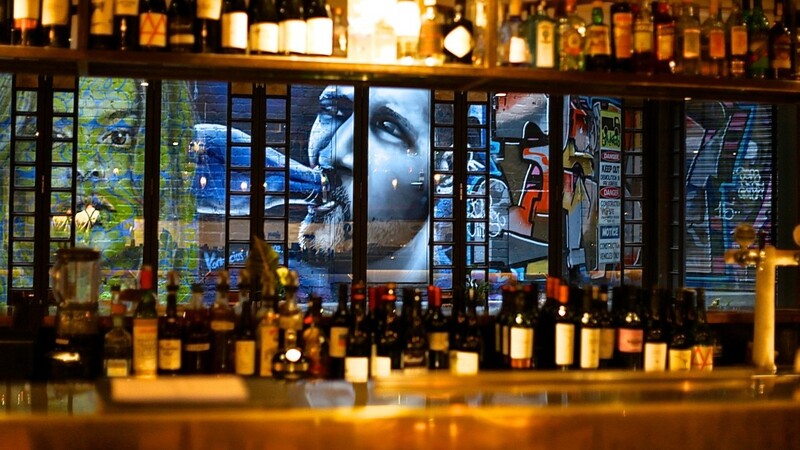 Tucked down the end of Melbourne’s gritty ACDC Lane, Pastuso quickly became one of the city’s most on-trend places and raised the bar again for Melbourne’s dining scene. It’s always special wandering down one of Melbourne’s historic bluestone laneways. This time, the luminous sign beckons me to Pastuso. The colour and character of the laneway is spectacularly carried through from the street art adorned lane to the interior. Known for its lively, effervescent atmosphere, the place is electric and resemblant of what you’d expect South America to be. Fun, bright, colourful everything. Neon pop posters more fluorescent than the tennis. A mix of textures from tiles to carpet to marble to timber to recycled leather. Bay windows fully opened out onto the laneway. 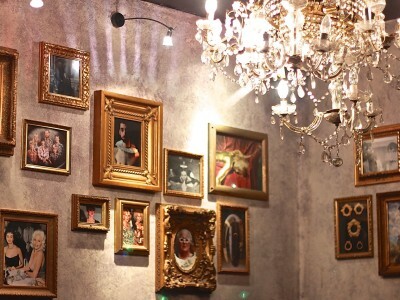 The twinkle and sparkle of intelligently designed lighting and the towering candles on the bar. Stools, booths, cosy tables for two, communal benches. This is a place with heart. To add to its personal appeal, the place was named after the character in one of my favourite childhood stories, Paddington Bear. Originally named Pastuso, the orphaned bear arrived in London from ‘darkest Peru’ with a note tied to his wrist “please look after this bear”. The vision of Dave Parker, who lived in South America for 18 months and fell in-love with the place and its food, Pastuso is co-owned by native Peruvian chef Alejandro Saravia. 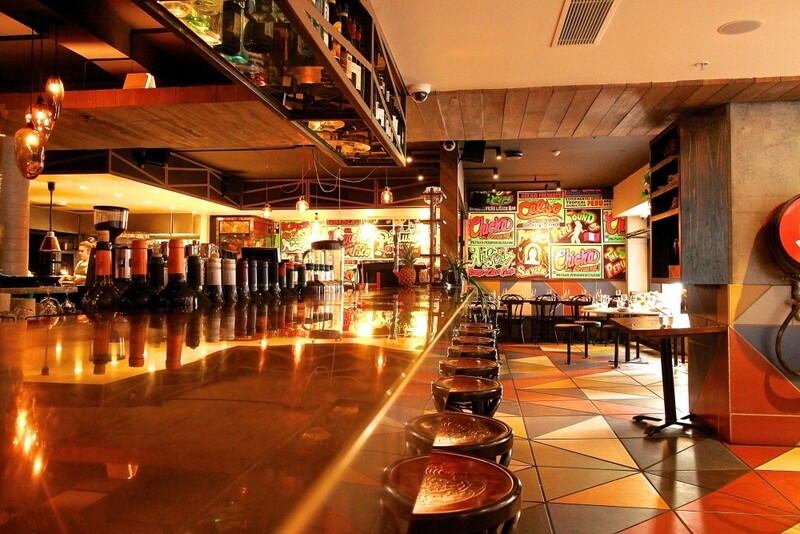 The Peruvian grill and cevicheria dishes up mouth-watering, slow-cooked, meaty South American delights. There’s even Alpaca on the menu! But Pastuso is equally a bar as much as it is a restaurant. 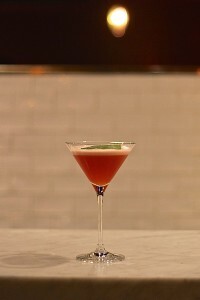 As Melbourne’s premiere Pisco Bar, it has a cocktail menu dedicated to the national spirit of Peru and an expert bar team lead by a native Peruvian bartender. On arrival I had no idea I was about to embark on the best education of my life (slight exaggeration…). 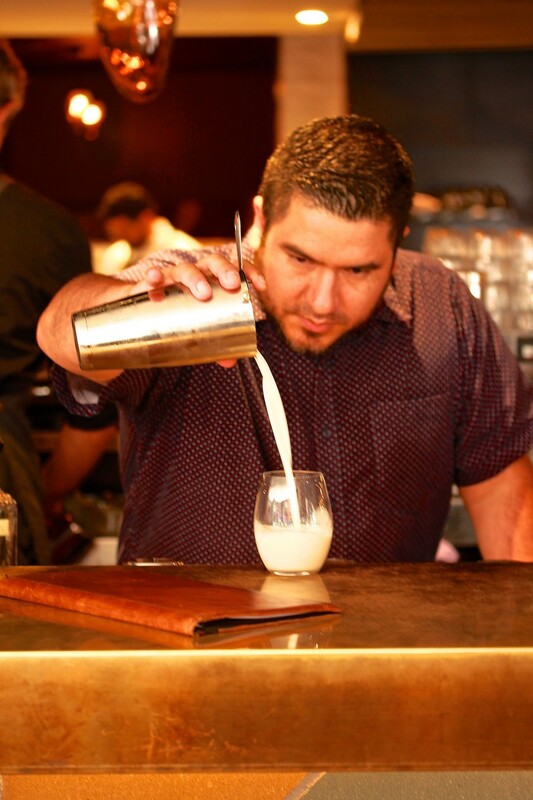 Turns out, head bartender Miguel Bellido is the international ambassador for Pisco (not literally…) with a passion for the spirit unmatched anywhere in the World (again, probably not true…). No word of a lie though, Pastuso has an impressive selection of Peruvian Pisco, a life supply of limes and a list of Pisco cocktails organised into Peruvian Clasicos & El Futuro. Miguel describes Pisco as “Tears of God” and tells me that Pisco, Pishku, is a Peruvian native word from the Inca language meaning little bird. We begin with a tasting of Miguel’s favourite Pisco variety, Italia. 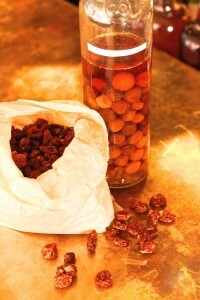 He tells me that there are eight varieties of Pisco – four aromatic and four non-aromatic. 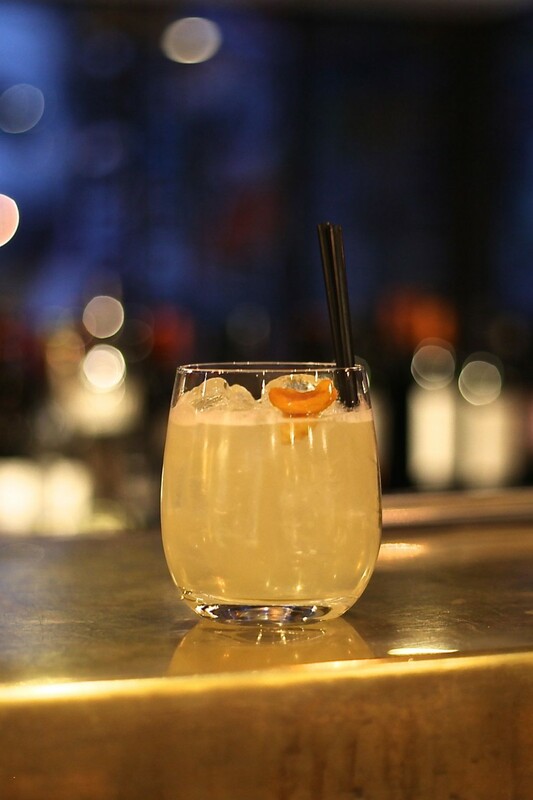 The Italia is the most aromatic of the Pisco varieties. Floral, subtle and smooth, it is designed to drink neat at room temperature. Next up, Miguel’s selection of house macerated Piscos – sultana & star anise, gooseberry, passionfruit and cherry. Each of them has a different character, yet the stunning flavours are so true of the fruit, thanks to the purity of the Pisco. For the true mixologist, the bar is his kitchen. On any day of the week you can enjoy one of the amazing Pisco cocktails off the menu at Pastuso, including the classic Pisco Sour. But the real magic happens when Pastuso is celebrating one of Peru’s national holidays. 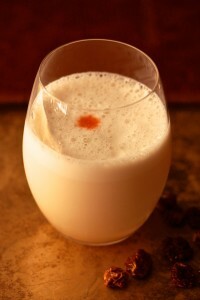 Believe it or not, Peru has a public holiday to honor its national cocktail, the Pisco Sour. 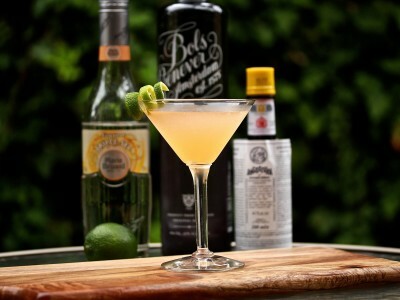 Yep, National Pisco Sour Day is actually a thing. The people of Peru get a day off to celebrate one of the country’s flagship exports and join in the festivities. Using his house made macerations, Miguel creates a special Pisco Sour menu for the occasion using unique flavours – passionfruit, cherry, coca leaf and sultana & star anise – each of them superb. Of all the national holidays, there’s none more important than Fiestas Patrias peruanas, which honours Peru’s independence from the Spanish Empire (28 July 1821). The birth of Peru is commemorated annually with celebrations across the country. Throughout the month of July there are displays of patriotism from the obligatory raising of the national flag to the President’s national address on the country’s progress – to parties, fireworks, parades, music, traditional food and dancing. But wait there’s more. Perhaps the most impressive thing Peru does to celebrate their Independence is the Pisco fountain in Lima, where the 2000 litres of water that usually runs through the historic fountain is replaced with the national spirit, Pisco. Now there’s a country that really knows how to let their hair down! In the absence of the fountain, Pastuso turns on some amazing cocktails. Red Flag: Pisco, freshly muddled strawberries and mint, nutty vanilla syrup, egg white, lime juice and cranberry. 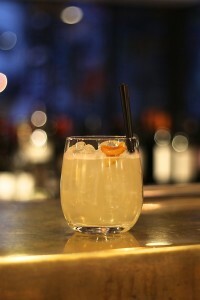 Encubierto: house made apricot Pisco maceration, gin, elderflower syrup, lime juice and sugar syrup. Hey Peru, Melbourne’s dished up some competition. Eat your heart out!